Ghost Recon: Future Soldier is the eagerly awaited fourth installment in the legendary Ghost Recon series, an incredibly action packed third person shooter saga, brought to you by Ubisoft. This series has always specialised in providing stunning visuals, blood pumping action, and the most high tech weaponry and artillery known to man, often based on real-life prototypes for the military or researched by DARPA. The story is set in the near future, with Russia in the throes of a civil war and the President being held captive by Russian nationalists. You are part of an elite team assigned to stop them; you are a Ghost soldier, the best of the best. Your group is part of Specialised Tactics, a Special Mission Unit under the direction of the Joint Special Operations Command, and the cream of the US Special Forces crop. A new and specialised wide range of artillery and suits are available within this game, with the option of wearing the highly coveted thermoptic camouflage suit, which allows an even higher degree of stealth. Another incredibly developed suit featured in this new chapter of Ghost Recon is the exoskeleton, otherwise known as the exo-tech suit. This improves both mobility and physicality, and allows you to carry twice as much at half the weight. The exo-tech suit also enables plenty of features that will enhance your game experience, for example the link up system, which allows you to link up or split off from your unit at any time. This system combines and shares the specialised class abilities that the other people in your unit possess, meaning you can use the sniper's heartbeat detector, the engineer's drone system, the recon's optical camouflage, and more. Whilst linked up, your unit moves and acts as one, delivering the most clean and precise kills. Received my Tom Clancy's Ghost Recon 4: Future Soldier within 5 days. I am really happy with the service and the prices. 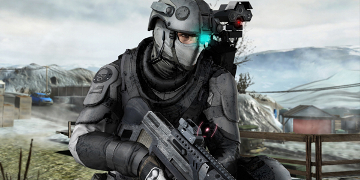 Ghost recon future soldier is an excellent game for those who love to play the game in stealth way. There is huge gun fight scenes and places where you need to be very quiet and invisible. This is one of the best tactical stealth games. It's campaign isn't that varied but it's done pretty well. The only bad side is the story; it's kind of stupid. The multiplayer is one of the best! But you have to rely on everyone. It's supposed to be played with friends, not with random guys. If you're planning to buy this game, go and get it! It's one of the best out there! However, if you prefer the likes of Call of Duty or Battlefield (which don't have any tactical reaction at all) this isn't the game for you. This is supposed to be tactical and with full mechanics of stealth and team-play. 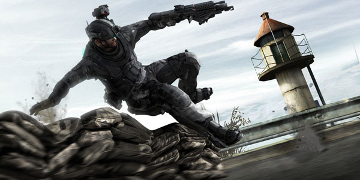 Future Soldier is the latest title in the Ghost Recon series and is very similar to the previous GRAW2. However there are a few subtle changes to the gameplay including active camo and the ability to synchronise shots to help keep things fresh. Gunsmith is a welcome addition giving you a very flexible ability to customise your weapons and I hope this continues in future instalments. 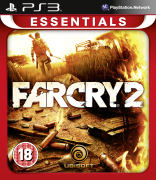 The storyline is typical Ghost Recon, however the game doesn't provide the dramatic facelift which this series is in need of. That said, it still is a solid title, and I enjoyed playing it while it lasted. Tom Clancy's Ghost Recon 4: Future Soldier is the perfect tactical game. Tom Clancy's Ghost Recon 4: Future Soldier is a great game. It's loads of fun and the campaign is really good. You can play solo or online. Tom Clancy's Ghost Recon 4 is a fantastic game... I'm playing the single player campaign and this Future Soldier theme is quite engaging! lots of gadgets. 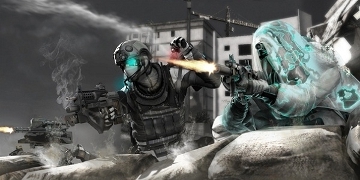 Tom Clancy's Ghost Recon 4: Future Soldier is a must have 4 player co-op game. Team up and make a good tactic. That is the key.